Reach Singapore. Fresh & change at airport. Pickup from Singapore Airport & Transfer to hotel Singapore hotel Check in time 03:00 Pm. Check in at Hotel. Evening Night Safari. Overnight at hotel. 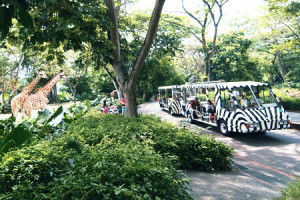 After Breakfast, Proceed for Singapore City Tour later in afternoon visit Sentosa Island tour. (1 Way Cable Car, 4 D Adventureland-1 Out Of 3, Madame Tussauds, Images Of Singapore, Wings Of Time-2nd Show Including Soft Drinks & One Family Photo ) Transfer to Hotel. Overnight at Hotel. Day Free at Leisure. Overnight at Hotel. After Breakfast check out from Hotel & Transfer to airport for your Onward Journey to Bali. Reach Bali. The island of god. On Arrival at Bali take on Arrival VISA& complete the custom process. Transfer to hotel. Check in at Hotel. Freshen up & Rest. Evening free at your own leisure. Overnight at Hotel. After Breakfast at hotel, Check out from hotel. Transfer to airport for your flight back to your hometown. Journey Ends With Happy Memories. 07 Nights Hotel Accommodation on triple sharing basis.